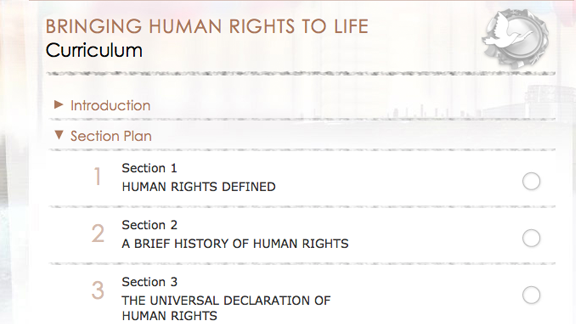 Education is the foundation and catalyst for changing the state of human rights in the world, but educators need effective materials and tools they can use to easily incorporate human rights in their curriculum. 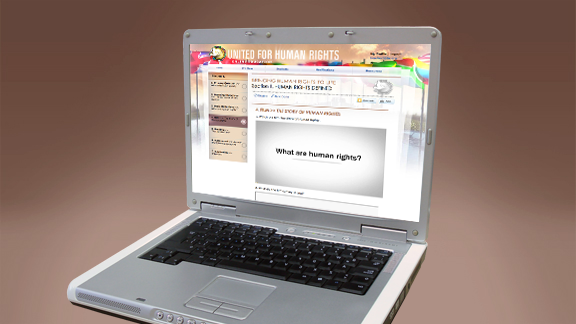 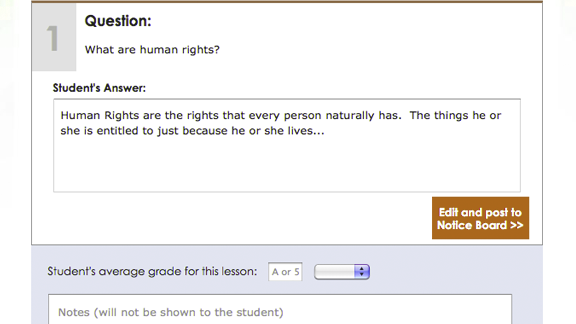 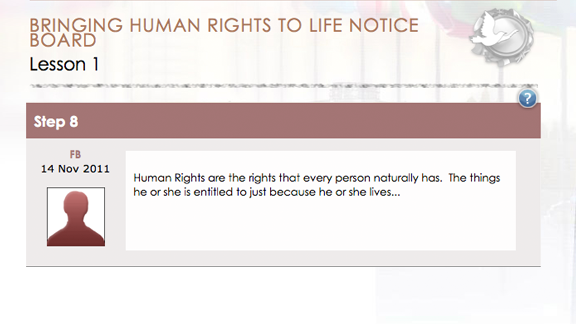 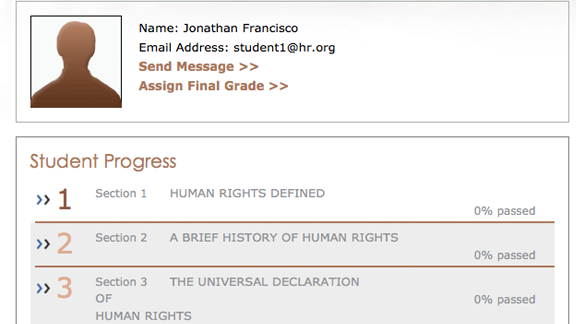 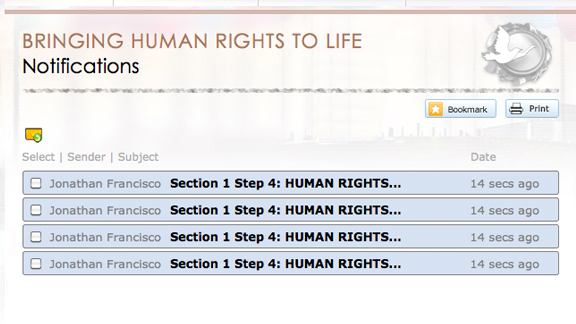 Recognizing this, United for Human Rights has the answer: the United for Human Rights Online Education Website. 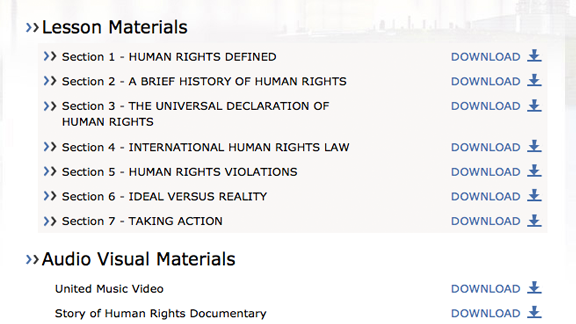 Free to educators, it gives teachers and educators everywhere a resource to help bring the concepts of human rights to life and make them a reality in the hearts, minds and actions of those who study the subject right online. 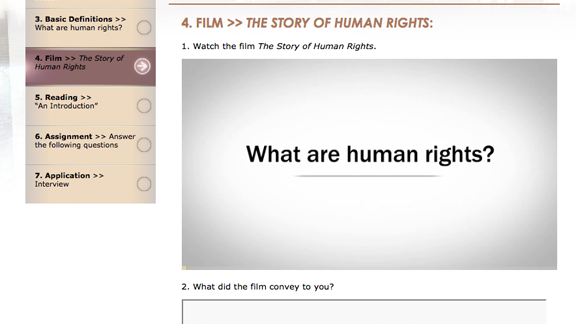 Knowledge of the problem is the first step in moving people into action to remedy it and this website has been designed to provide that knowledge to students in any setting, whether teaching online or offline. 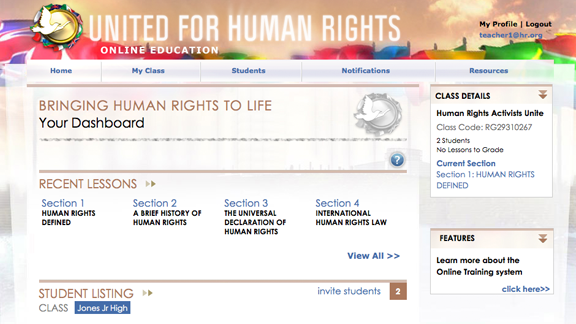 The Online Education system is designed for secondary and post-secondary classrooms and adult education classes in community settings. 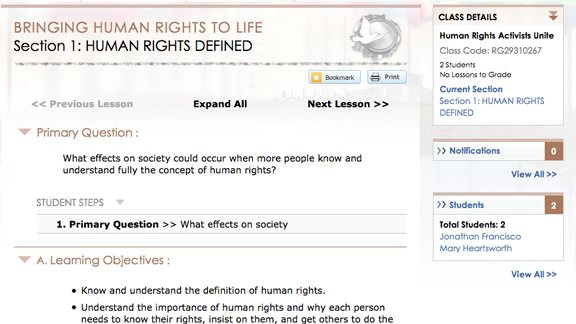 It may be used as a full course or as a supplemental resource in another curriculum.